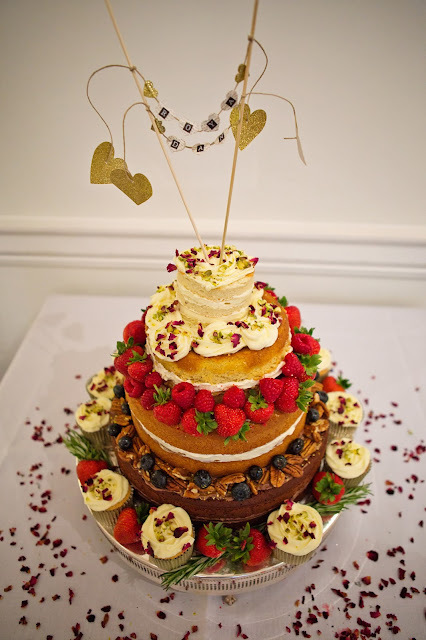 I don't usually repeat myself on this blog, but I went to a cake club this week where the theme was Cakes or Cupcakes With a Fruit Element. 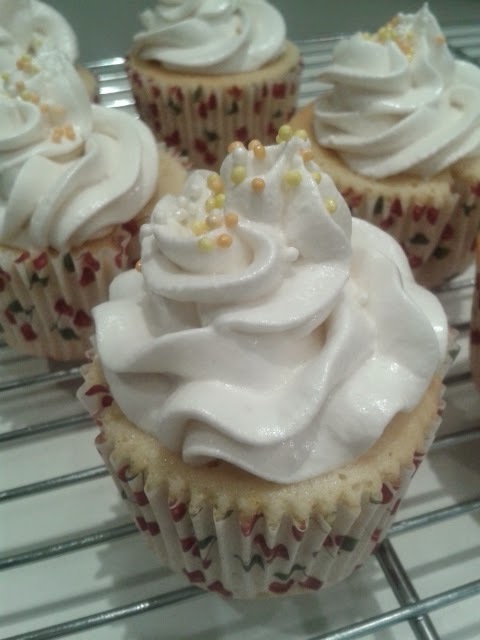 So immediately I thought I'd make those lovely lemon meringue cupcakes again, this time in normal size. All delicious. And a lovely bunch of girlies. Can't wait for next month! Heat the oven to 180C (or 160C). Line a muffin tin with cupcake cases (fruity ones of course!). Beat the butter on a high speed for about a minute until creamy. Add in the sugar and lemon zest and beat for five minutes until fluffy. Then add in the eggs one at a time. Sift in the flour, salt and baking powder, and mix on a lower speed. Then add in the buttermilk and lemon juice until the batter is smooth. Fill your cases about three-quarters full (about 2 large spoonfuls). Bake for about 18-20 minutes until a skewer comes out clean. Allow to cool. Put the chopped chocolate in a heat proof bowl. Bring the cream to a boil in a saucepan, and once it's boiling, pour it over the chocolate. Add the lemon juice and zest, and stir from the inside out slowly, until all the chocolate has melted. Once it has cooled, place a wide-tipped nozzle in an icing bag and spoon the Ganache inside. Dip the nozzle into the centre of the cupcake and squeeze a tsp or so of Ganache inside the cake. It doesn't matter if it spills out a little. Whisk together the egg whites and sugar. Place the bowl over a saucepan of simmering water and keep whisking until the sugar has dissolved. Remove from the heat, and whisk on a high speed until stiff, glossy peaks form. Spoon the meringue into an icing bag fitted with a large flower nozzle, and pipe on top of the Ganache-filled cupcakes.